Primary ovarian insufficiency (POI) refers to the loss of ovarian function in young women. It can lead to primary or secondary amenorrhea. The loss of ovarian function is usually permanent akin to menopause. Resultant hypoestrogenemia has systemic adverse effects particularly on the bone health. POI is diagnosed on the basis of raised serum follicle stimulating hormones levels. Most of the cases are idiopathic. Hypothyroidism is the most common associated disorder suggesting autoimmune etiology in some of the cases. Karyotypic abnormalities (mostly monosomy X-Turner syndrome) should be excluded in cases presenting with primary amenorrhea or early onset secondary amenorrhea. 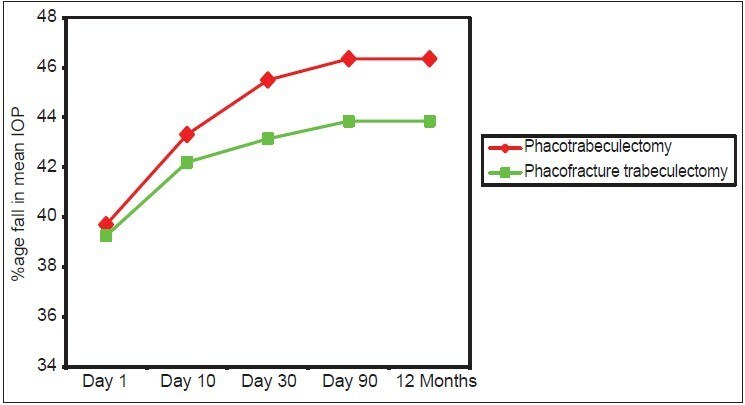 Treatment involves long-term estrogen-progesterone replacement therapy which provides regular withdrawal bleed and prevents systemic effects of hypoestrogenemia. Objective: To determine the effect of veiling on bone mineral density (BMD) and to evaluate its association with Vitamin D, Vitamin B12, and folate status. Materials and Methods: Design: Cross-sectional observational study. Subjects : Two hundred and forty-seven women in the perimenopausal stage in the age range between 40 and 50 years were evaluated by dual energy X-ray absorptiometry for BMD status of the spine, femur, and forearm. Serum calcium, phosphorus, alkaline phosphatase, 25 (OH) D, Vitamin D, Vitamin B12 and folate were estimated. This study group was segregated into veiled and unveiled depending upon the coverage during day time with a dark cloth. Sunlight exposure and levels of physical activity were assessed by a questionnaire. Biochemical variables and BMD at various sites across the skeleton were compared. Results: The veiled group had significant hypovitaminosis D as compared to the unveiled. The Vitamin D in the veiled group was 11.3 ± 17.2 ng/ml versus 19.9 ± 27.6 ng/ml (P < 0.001) in the unveiled. Women in the veiled group had less sunlight exposure and were less physically active (P < 0.001 and 0.05 respectively). The basic biochemical parameters were comparable in both groups. Vitamin B12 was higher in the veiled group, and folate levels were higher in the unveiled group the difference being statistically significant. Homocysteine levels were minimally higher in the veiled group. The BMD across the different skeletal sites did not differ, though the unveiled group had a slightly higher BMD at all sites apart from the trochanter. Conclusions: BMD is affected by multiple factors, and its complex interaction may explain the normal biochemical parameters of bone metabolism even in the presence of hypovitaminosis D in the veiled group. Background: Mosquito-borne diseases constitute an important cause of morbidity and mortality, especially in India. Assessment of knowledge and practices of community about prevention of mosquito borne diseases is important for designing community-based interventions. Therefore, the study was carried out to assess such information. 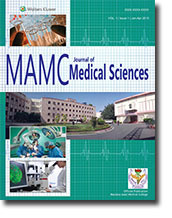 Materials and Methods: A community-based cross-sectional study was conducted among 350 adults selected by systematic sampling method in a rural and urban area in Delhi. Data was collected using pretested semi-structured questionnaire after taking written informed consent. Data was analyzed using SPSS version 17. Chi-square and Fisher's Exact test was used for qualitative variables to find association and P <</i> 0.05 was considered significant. Results: One hundred and forty-two (67.6%) subjects in rural and 89 (63.6%) in the urban area were able to name at least one mosquito borne disease. Only small number of participants (from rural 28.1% and urban 18.6% areas) was aware of "fever with chills and rigor" as a symptom of malaria. Television was most common source of information in both rural and urban areas. Desert coolers were reported to be cleaned regularly in a week in 86.4% houses in a rural area, and 88.4% houses in the urban area. Potential breeding sites were significantly more in urban (n = 34, 24.3%) than rural (n = 13, 6.2%) houses (P = 0.01). Similarly actual breeding of mosquitoes was found significantly more in urban houses (n = 29, 20.7%) than rural houses (n = 14, 6.7%), which was statistically significant (P = 0.01). Knowledge about mosquito borne diseases was significantly associated with education status of the participants. Conclusion and Recommendation: Level of awareness was good; however mosquito breeding was occurring more in urban areas, which demands innovative mass media techniques to convey health messages to the public for prevention and control of mosquito borne diseases. 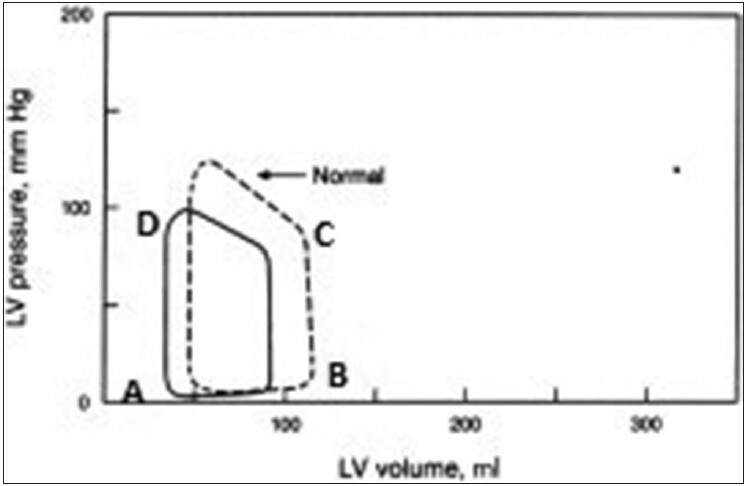 Objectives: The objective was to verify the validity of transthoracic echocardiography (TTE) probe for guiding the central venous catheter placement and to ascertain whether the ultrasound (US) guidance is superior to the landmark technique in terms of success rate, procedure time, and complication rate. Design: Prospective, randomized. Setting: Tertiary care, superspeciality hospital, single Institute. Participants: Pediatric cardiac surgical patients. Interventions: The study included 105 patients <12 years age, randomized into two groups. In the control group (Group A), internal jugular vein (IJV) cannulation was performed by the conventional landmark technique. In the US group (Group B), the course of the IJV was marked on the skin surface before cannulation using a 3-8 MHz TTE probe. The success rate, number of attempts, cannulation time, and complication rate were compared in the two groups. Results: Overall success rate (right IJV cannulation performed within five finder needle attempts) (95.9% vs. 82.1%, P < 0.05) and first-attempt success rate (right IJV cannulation performed within one finder needle attempt) (77.6% vs. 53.6%, P < 0.01) were higher in Group A. The number of attempts to locate the vein with finder needle (mean 2.8 ± 2.5 vs. 1.6 ± 1.6, median in both groups 1.0, P < 0.01) and puncture needle (mean 2.0 ± 1.5 vs. 1.5 ± 1.0, median in both groups 1.0, P < 0.05) were more in Group B. The cannulation time was more in Group B (413 ± 317 s vs. 233 ± 164 s, P = 0.001). A sub-group analysis of children weighing >10 kg did not reveal any differences in the above parameters. Conclusion: The success rate of IJV cannulation in infants and children is not improved with US guidance. Significantly better success rate was observed with the landmark technique as compared with the US guidance. On sub-group analysis, this difference was not observed in children weighing >10 kg. Corrosion cast technique has advanced since its first application using wax by Leonardo da Vinci in 16 th century. Various materials such as metal alloys, celloidin, latex gum, synthetic resins/epoxy resins, polyester resins, and silicone have been used to prepare cast of vasculature and ductal architecture. However, the current reformed technique as described used commercially available polyvinyl chloride (PVC) solution to prepare cast of vascular/ductal anatomy. This technique being cost-effective and rapid can be easily applied in low resource situation. The Department of Anatomy Maulana Azad Medical College, New Delhi standardized this technique to prepare corrosion casts using PVC solution and is regularly training participants in the annual workshop on "body preservation techniques on embalming plastination and musemology" conducted by the Department. 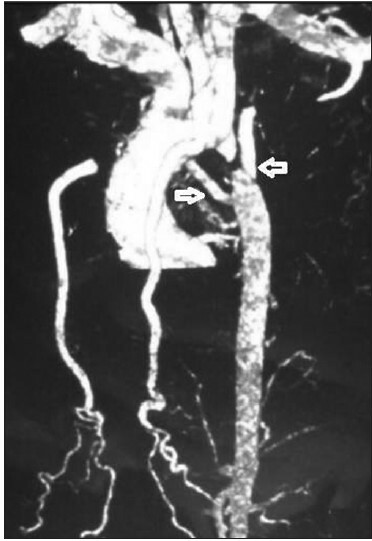 Coarctation of the aorta in an adult patient often requires extra-anatomic bypass techniques. Posterior pericardial bypass technique is one among the various techniques that has been described where a Dacron conduit is anastomosed between the lateral aspect of the ascending aorta and the descending thoracic aorta posterior to the pericardium. In the present patient, we describe an additional femoral artery canulation via a graft anastomosed end-to-side to the femoral artery to avoid spinal cord ischemia during the period that the descending aorta is clamped for anastomosis of the conduit. 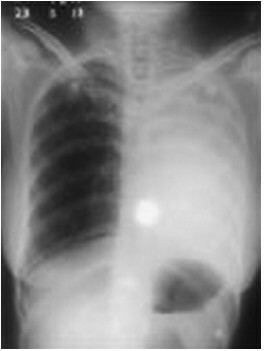 Intestinal atresia is a common cause of neonatal intestinal obstruction. 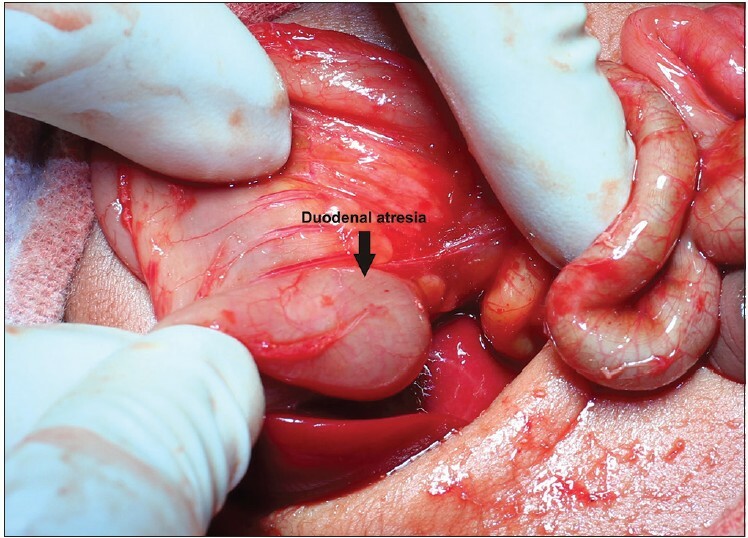 We present a rare case of duodenal atresia, multiple jejunal atresias, and apple peel appearance of the remaining ileum in a 3-day-old neonate. 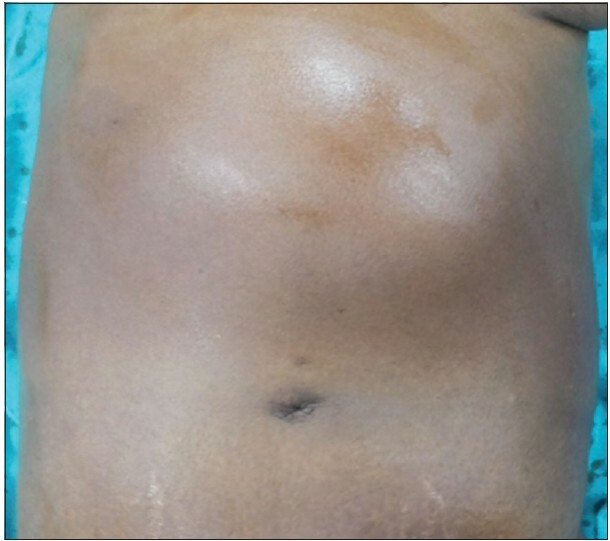 Multiple jejunal atresias were resected, and a duodenojejunostomy was performed. Although duodenal atresia is believed to result from failure of vacuolation process, this very rare association of duodenojejunal atresia with apple peel appearance of the ileum suggests that some vascular injury occurring during late gestation might also lead to duodenal atresia. Hydatid cyst most commonly involves the liver. Intrabiliary rupture is one of the complications of hepatic hydatidosis. We present a case of 45-year-old lady with a large hydatid cyst occupying the left lobe of the liver with jaundice and upper gastrointestinal pressure symptoms. Contrast-enhanced computed tomography revealed a large hepatic cyst with rupture of contents into the left hepatic duct. The patient underwent laparoscopic excision of the cyst with closure of the biliary communication. Bilious drainage was observed from intra-cavitory drain in the postoperative period for which patient underwent endoscopic retrograde cholangiopancreatography with selective left duct stenting following which bile output decreased over 1-week. The communication between the cyst and the biliary tree varies from a small communication to a frank intrabiliary rupture. 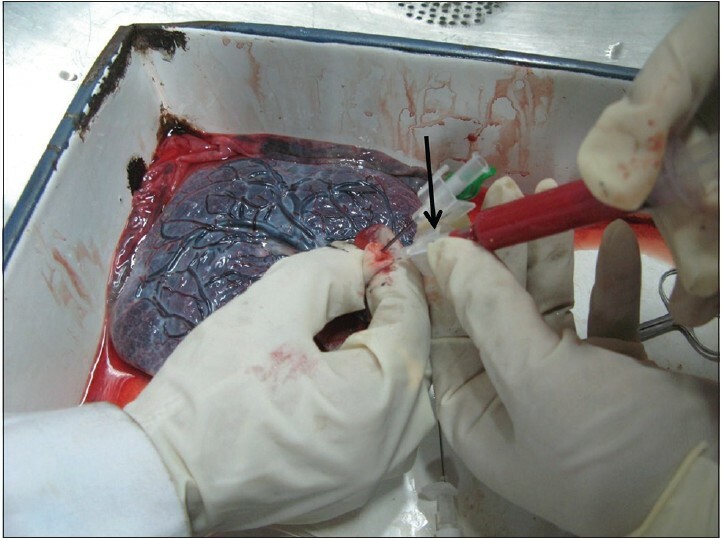 Laparoscopic treatment is an effective mode of treatment for biliary fistulas complicating hepatic hydatid cyst in well-selected patients. Retrobulbar neuritis is classically defined as a disease where "neither the patient nor the doctor sees anything." 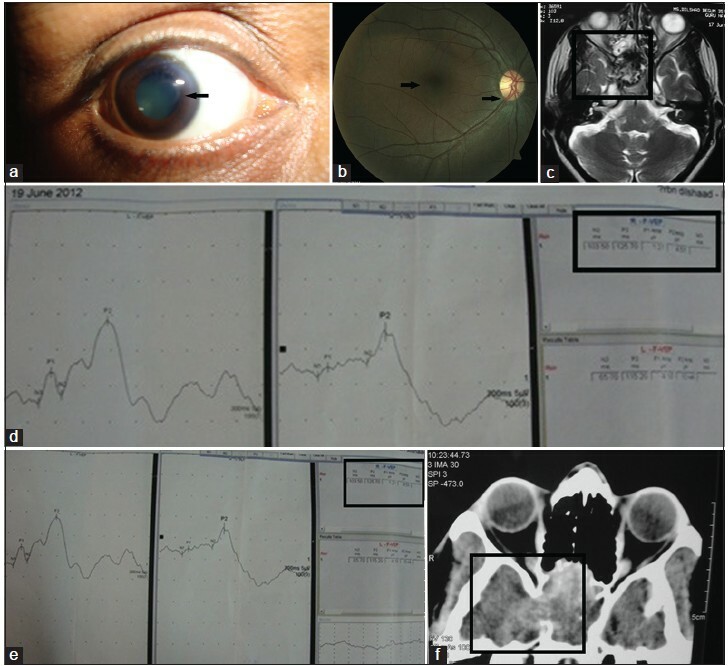 The present case was diagnosed as retrobulbar neuritis associated with extreme retrobulbar pain, an unusual constellation of features which led us to suspect an unusual etiology. Detailed investigations revealed invasive fungal sinusitis masquerading as retrobulbar neuritis. This case highlights the need to keep a high index of suspicion and caution while labeling a case as pure retrobulbar neuritis without performing neuroimaging to rule out life-threatening conditions. General duty doctors in all major hospitals -Govt and Private-are often unclear regarding when to label a case as medicolegal. 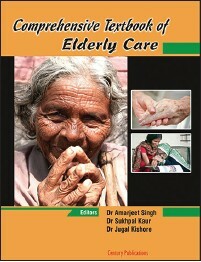 This paper attempts to give general guidelines to doctors regarding this problem.